Freematics Esprit is an Arduino compatible development board based on Espressif ESP32 SoC designed for casual or serious IoT and telematics projects. 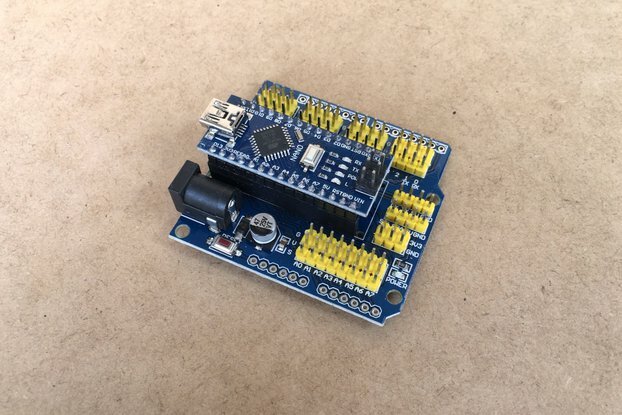 The board leads out nearly all I/O pins from ESP32 into standard Arduino factor, making it familiar to Arduino players and also compatible with some existing Arduino shields. Freematics Esprit leads out nearly all useful ESP32’s GPIO pins, arranged in a deliberated order, to balance between accessibility and Arduino compatibility. 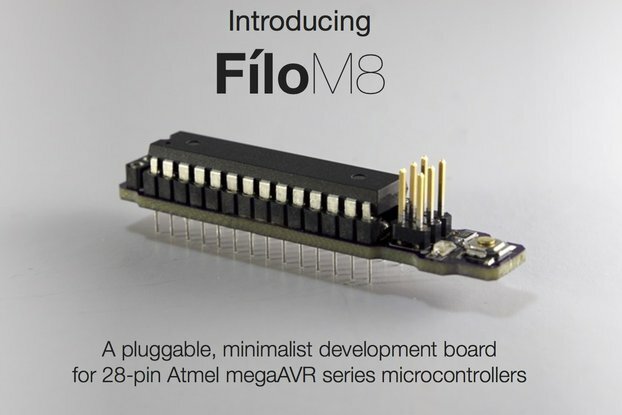 In addition to standard Arduino pin headers, following extra interfaces are available. In fact, ESP32’s GPIO pins are fully configurable so the above additional pinouts are just for default/recommended usage and literally they can be remapped for any I/O purposes. The VCC switch toggles between 3.3V and 5V for VCC pins of both serial UART header and xBee socket. The VCC/GND pins on UART header can be used to power the board, for example by Freematics OBD-II UART adapter. 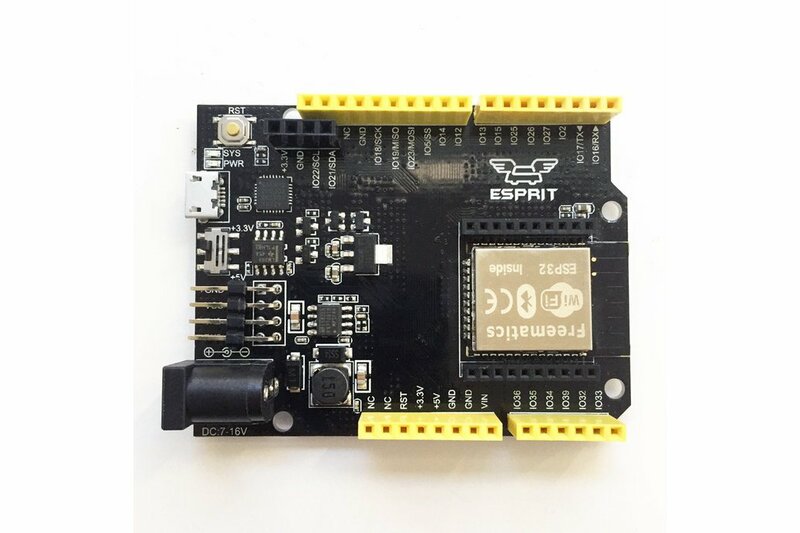 Freematics ESPRIT is ideal for programming with ESP32 Arduino core. 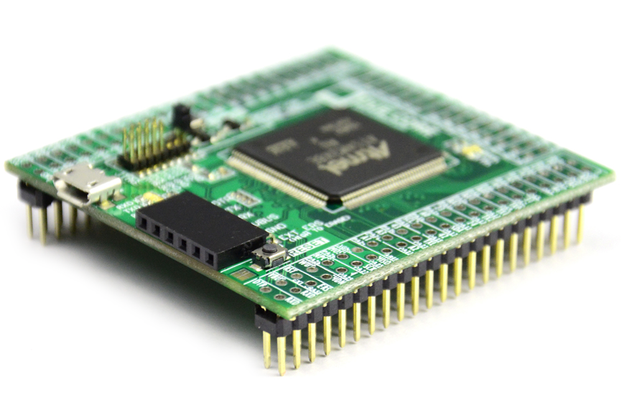 When developing with Arduino IDE or Platform IO, please choose ESP32 Dev Module as board type. We hate to add another entry in the board type list as there are already too many literally same variants. 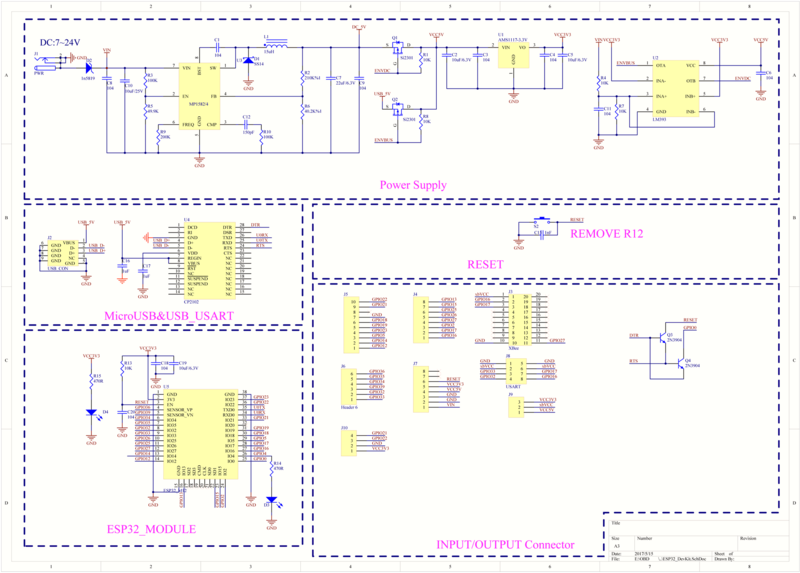 To unleash more power from ESP32, we are currently developing a dedicated library for our board, so resources like BLE and CAN can be easily accessed from Arduino sketches. 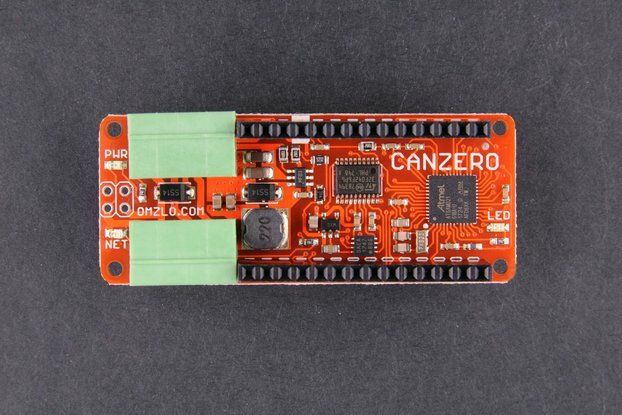 CANZERO, the wired IoT Arduino-compatible node.